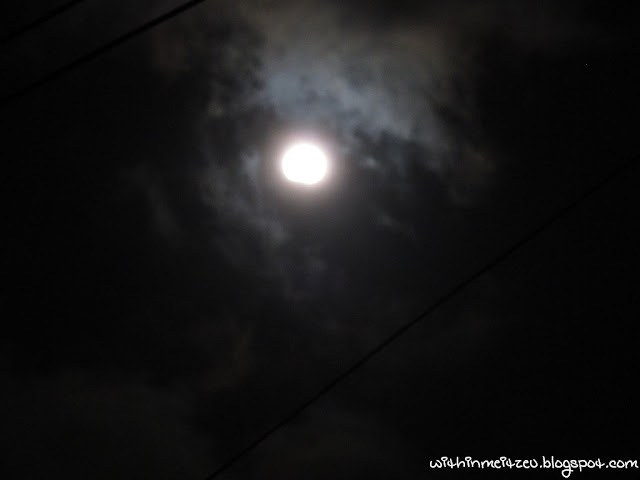 Happened last night, approximately starting from 8.45pm when the Moon was covered a bit of its corner. 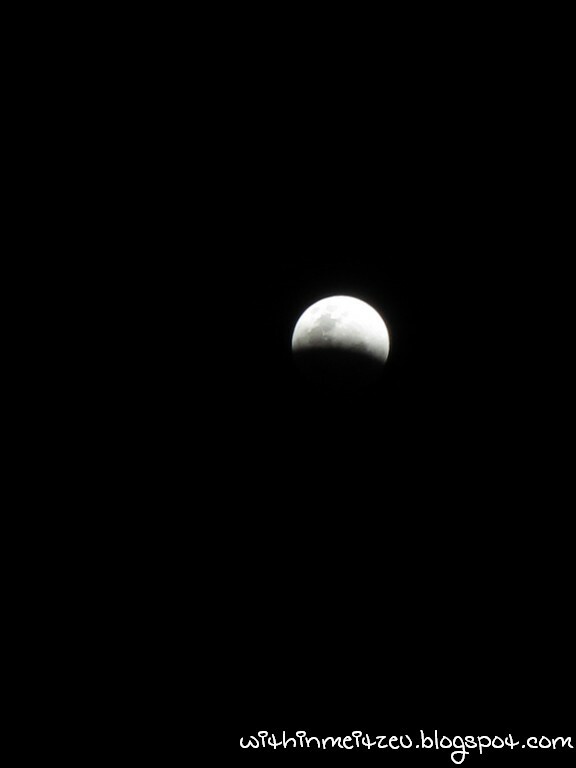 I thought it was the cloud covered it, but its getting darker from a corner of the Moon after a while. 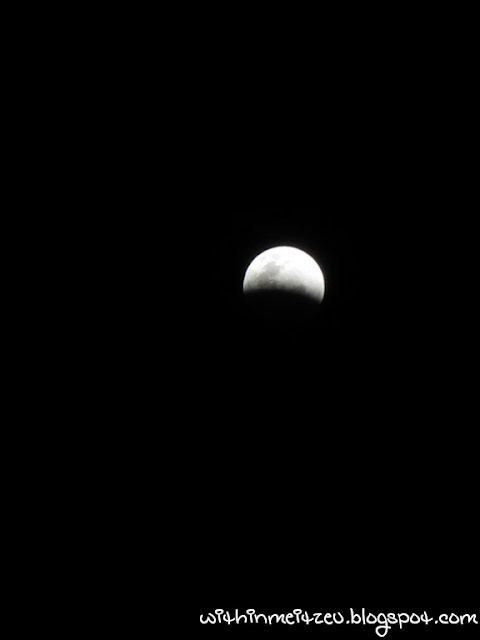 At first, I was foreseeing the eclipse since 7.45pm (which has been told earlier), I was a little disappointed but after an hour later after my short Yum Cha session, I saw the Moon slowly eclipsed. 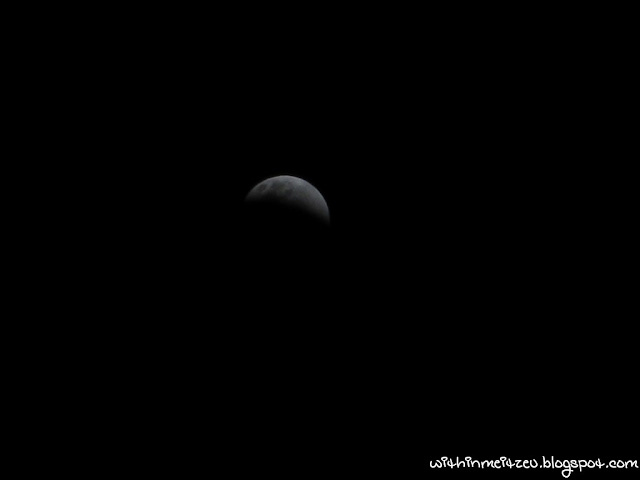 It was amazing and the thick and cloudy sky did not stop me from shooting the ECLIPSE! Everything went wrong with my G12, I took it without setting the right mode, I've forget which setting that I suppose to shoot it with while I was at my house's garage shooting it. 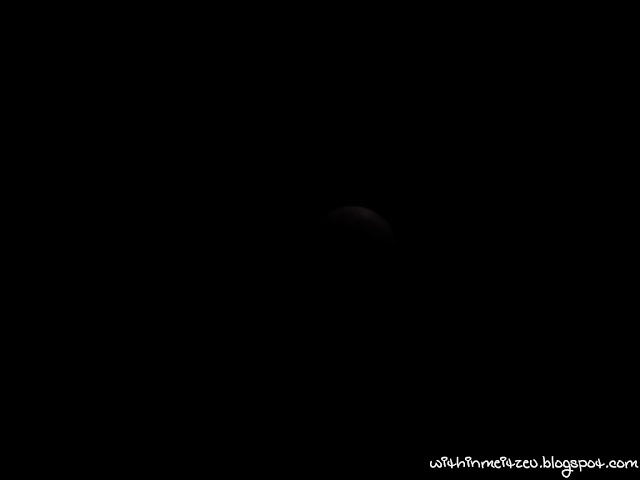 Warm weather turned off me, I almost forgo the chance of experiencing the lunar eclipse and after I had a look outside my bedroom window and the Moon was at the correct spot! 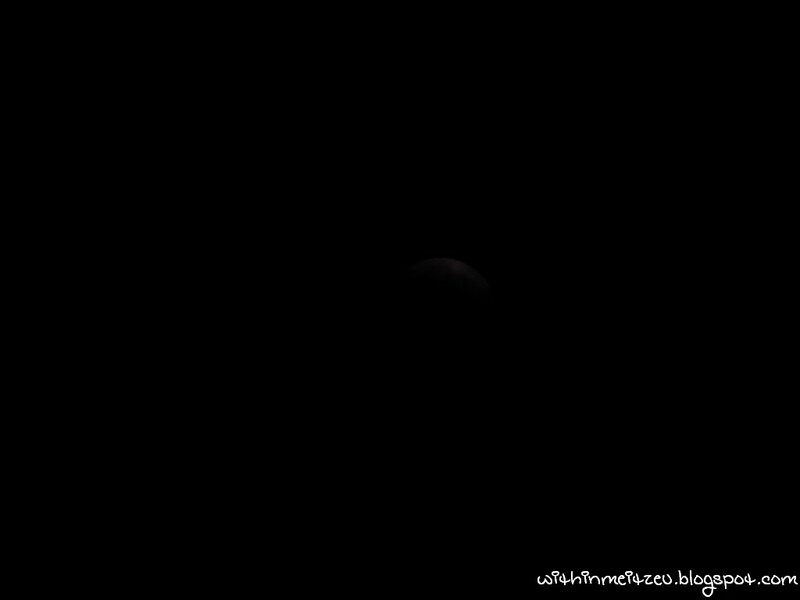 And there goes my eclipse photos shooting again. :) A few attempts with my G12 setting, everything were getting better and better. 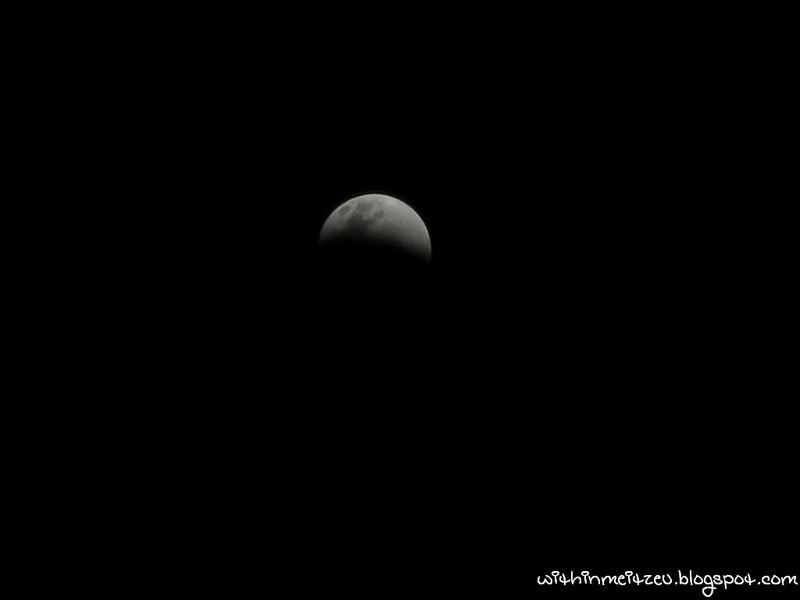 I'm quite lucky that I managed to shoot photos of it while friends around might not experienced it like I do. Yes. Indeed the cloud last night was so think and we could hardly see the Moon in clear vision, especially when the cloud was moving. Anyway, it just AMAZING! 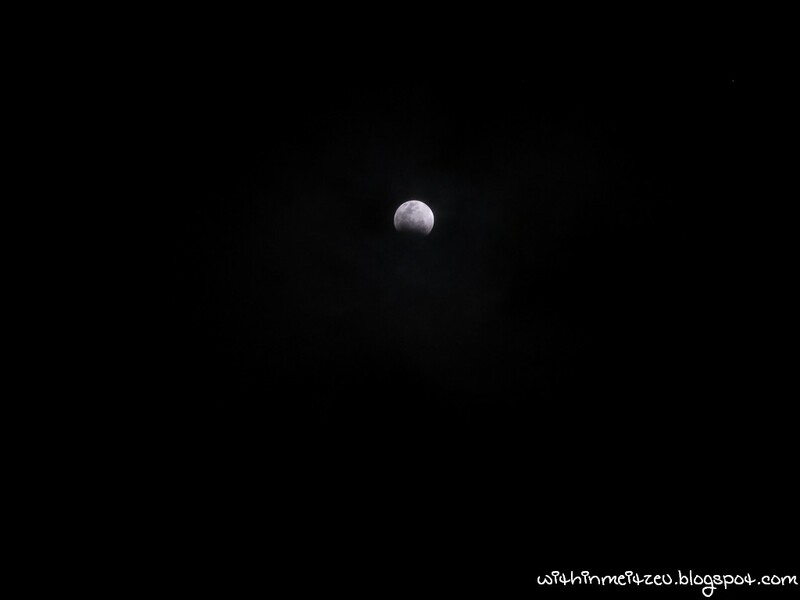 How was your night hunting with the Moon? Wow! You manage to see and take photo of it. 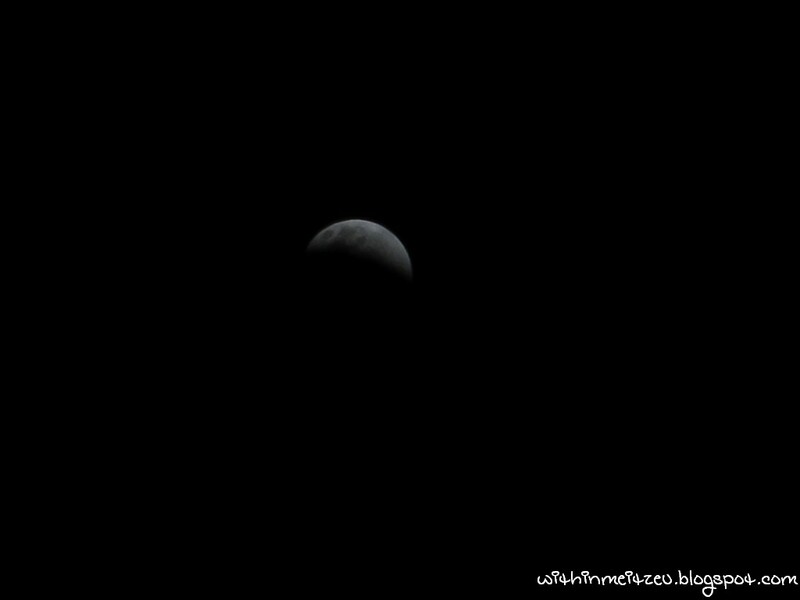 omg after reading your blog, i realise that i have missed it T_T i wonder when would the next eclipse be. *auuuu* sound of wolves in the air. Actually those are really nice pictures. The joke was I totally forgot about it so I had to see pictures online like yours. It is amazing G12 can take such pictures. At a glance, I thought u took it with a DSLR.